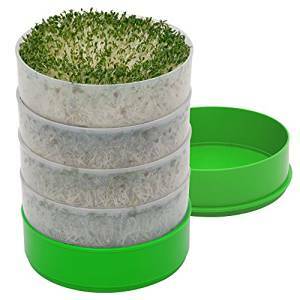 The nutritional value of sprouts, and especially if you start growing broccoli sprouts, is invaluable. Growing and eating sprouts on a daily basis will do amazing things for your health and help fight cancer. So what are sprouts? Sprouts are organic seeds, such as mung, broccoli, alfalfa and lettuce to name a few, that rinsed in water two or three times a day until they sprout. Once the sprouts are about the length of the seed or a little longer, they're ready to eat. The high nutritional value of sprouts rests in the huge amounts of nutrients that can be found in each tiny little sprout. Each seed contains enough nutrition to sustain a tiny plant until it is big enough to put out roots and find food for itself. You will get some nutrition by eating the seed, but allow those same seeds to sprout, and look out! 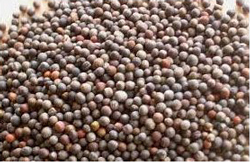 Save money by buying sprouting seeds in bulk. Buy organic bulk broccoli seeds here. Alfalfa sprouts can have up to 450% more of the nutrients than the seeds alone would have. And when you compare sprouts to the full grown plants, the differences in the nutritional value of sprouts is even more impressive. One gram of broccoli sprouts can have up to 30 times the amount of cancer-fighting compounds as you would find in the full-grown broccoli plant. 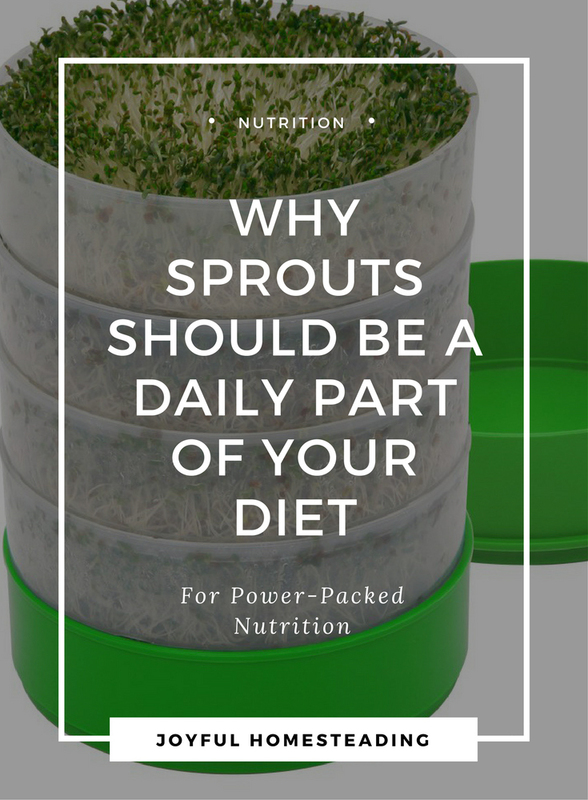 So what are some of the benefits of growing sprouts and eating them daily? Sprouts have some of the best cancer fighting elements out there. Alfalfa sprouts contain an amino acid called canavanine that is beneficial in fighting against pancreatic, colon and leukemia cancers. Plus, growing broccoli sprouts is also an excellent arsenal in your cancer-fighting efforts. According to one study, one gram of broccoli sprouts can provide 30 times the amount of sulforaphane - a compound that fights both cancer and diabetes - than one gram of the full-grown broccoli plant. If you wanted to reduce your chances of colon cancer by 50%, you would need to eat two pounds of broccoli a week, but by growing broccoli sprouts, you can get away with eating far less - or eat more and get far more of those cancer-fighting abilities! Sprouts are also loaded with plant estrogens, good news for those of us going through menopause. You can ease symptoms of PMS, hot flashes and fibrocystic breast tumors by eating tons of fresh sprouts daily. These wonderful sprouts can also increase bone formation and density and prevent osteoporosis. Did your tomato crop fail last summer? Not to worry; sprouts have the same amount of vitamin C as tomatoes. 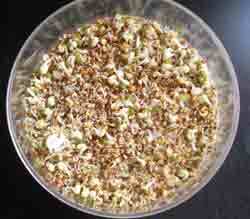 Sprouts also have B-complex vitamins and Vitamin A.
Sprouted mung beans after just two days. Sprouts also have the same amount of protein as meat does at a far more affordable price. Best of all, they are easy to grow and are ready to eat in three to five days. You don't have to be a skilled gardener to successfully grow sprouts. Invest in a simple sprouter, rinse your sprouts two or three times a day and presto! You have loads of nutrition in a dense little package. One big contributor to the nutritional value of sprouts is enzymes. So why are enzymes so important? Enzymes help you digest your food so your body can get the nutrients it needs. Without enzymes, you have less energy, you're more prone to infections, and you can suffer more from inflammatory conditions. Enzymes also regulate the hormones and cholesterol in your body, help dissolve blood clots, helps your body get rid of toxic wastes and slows the aging process. Our bodies produce these necessary enzymes, but as we get older, we become less able to produce enzymes ourselves. You can also deplete your body's ability to make enzymes if you eat too many processed foods or use pharmaceutical drugs. Fortunately, sprouts are loaded with enzymes to help you with digestion, feel better and look younger. Forget Botox! Eat lots of sprouts everyday instead.